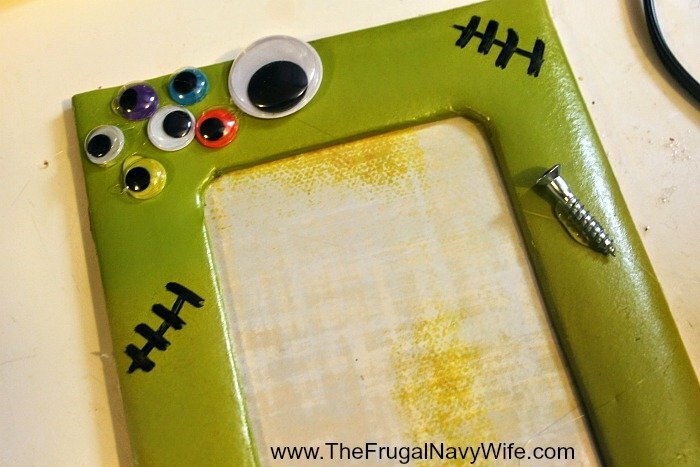 If your little ghouls and goblins are excited for Halloween night like mine are this fun and simple dry erase Halloween countdown frame is a great way to tick off the days until the big night. It is simple enough for kids to complete most of it on their own, which is nice because besides having ownership in their project it is a great way to sneak in some important fine motor skills while having art class. Supplies are inexspensive and are probably already in your craft stash, if not, a quick trip to the craft store and a couple dollars will fix that. 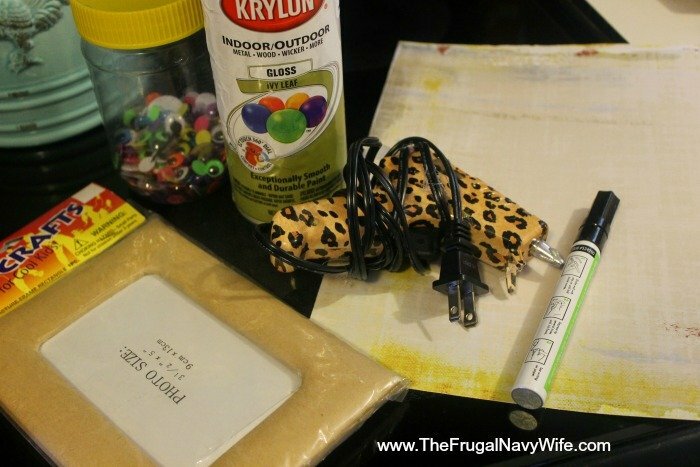 Unfinished frames are often a $1 or less at the craft store, just make sure yours has a plastic insert- this will be where your write with dry erase. We created ours to look like a stash of Monster parts but you can create your creepy countdown anyway you want. Make two and send one to school for the teachers desk! 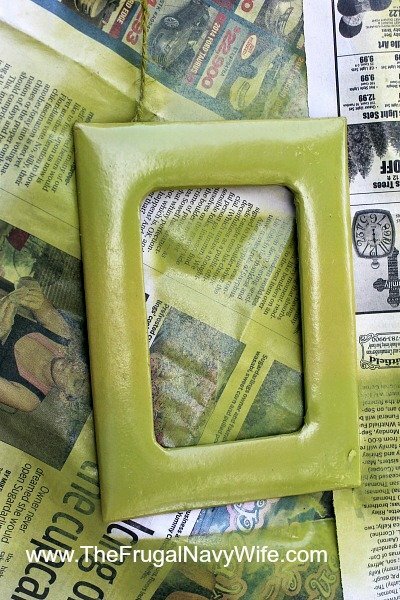 I removed the plastic insert from my frame and sprayed it with two coats of paint, if you want your child to do the entire project you can let them paint it with acrylic craft paint. Allow to dry for several hours before adding embellishments. Use glue to attach googly eyes, we used all sizes and colors to make it more fun. 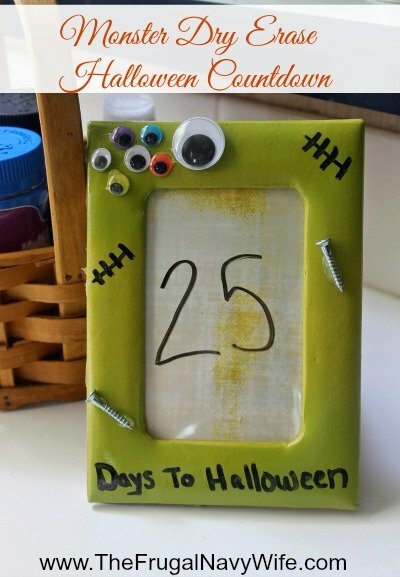 Use black paint marker to add some detail like scars as well to write “Days until Halloween” across the bottom. Cut a piece of scrapbook paper to fit the opening and slide it and the plastic insert back into your frame -ours was 4×6. Make sure that your scrapbook paper is not too busy or you will not be able to see the marker writing. Be sure to have a dry erase marker on hand to record your countdown of the days.